prehistoric tagged items for the 2015 costume season. Includes one brown wig with matching beard and moustache. One size fits most adults. Jumpsuit with tail, shoe covers, sound chip and headpiece. 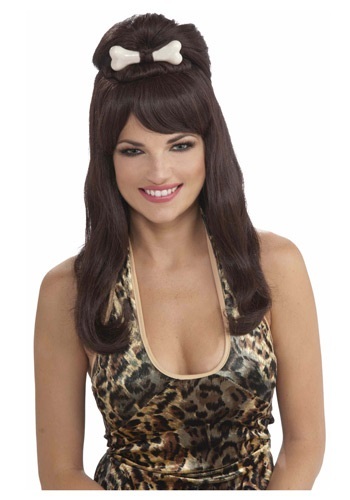 Every cave girl knows that the latest in prehistoric fashion is wearing a dinosaur bone in you hair.